Use your storage space floor to roof with these 16" deep shelving units featuring contoured backs that fit closely to the side wall of your van freeing up valuable floor space. These 65" high shelving units are available for Sprinter, Nissan NV and full size Ford Transit vans with standard 13" wheelwell clearance. Each unit has a closed back and two locking doors to keep items secure and includes four 16" and one 131⁄2" deep shelves all with 3" high lips to keep items on the shelf. Shelves are also perforated on 2" centers to accept dividers. 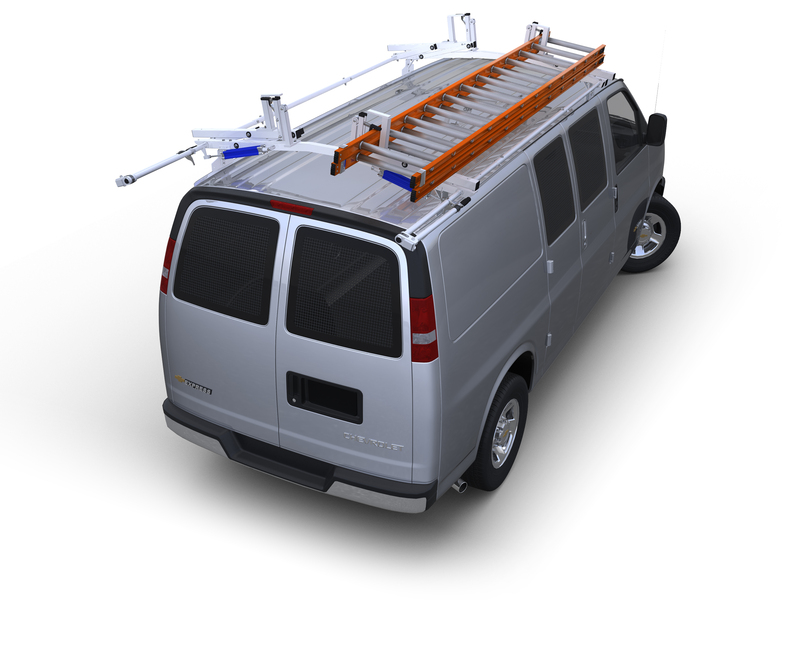 Each heavy duty shelving unit has a durable powder coat finish and comes completely assembled ready to install in your van.